Updated grounds completed in 2015: Redesigned, replanted gardens. New outdoor kitchen, dining area, and lounge with fire pit, bocce ball court. 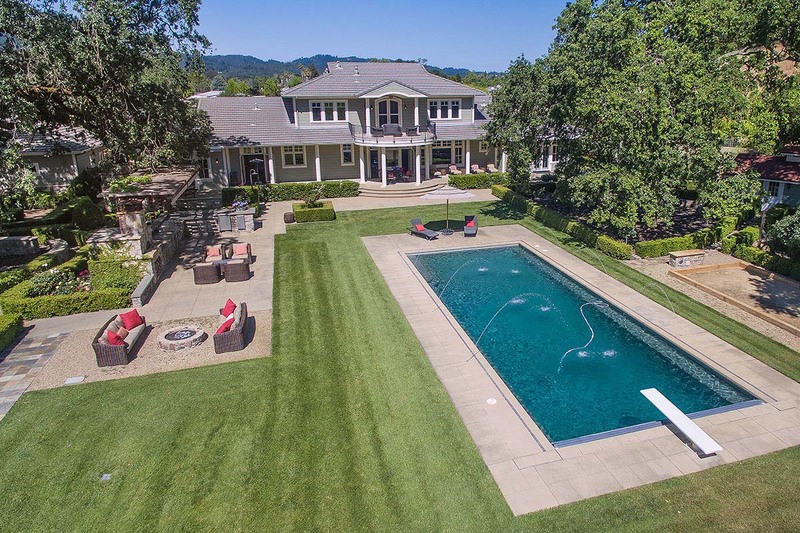 Wine Country villa with a modern flair, set in the vineyards down a private country lane in St. Helena. 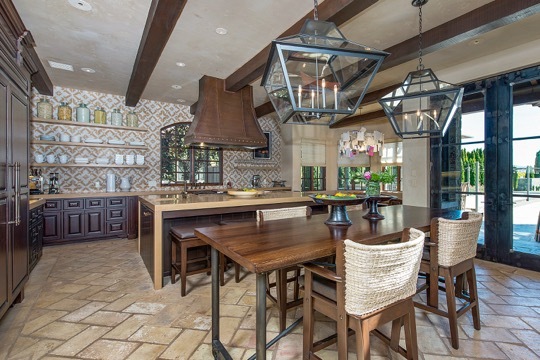 Beautifully re-imagined and expanded interior updated in 2014 by Erin Martin Design, unique with custom timeless finishes, featuring an open living room and kitchen, dining room, wine cellar, library, five bedroom suites plus kids’ studio and powder room. 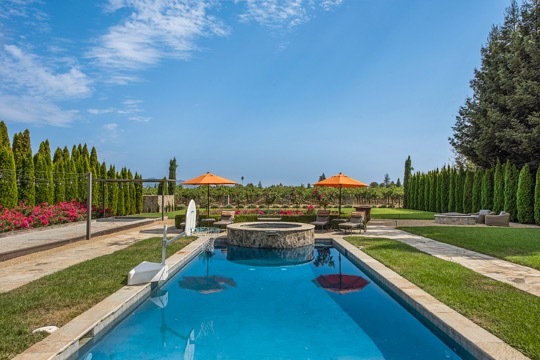 Updated grounds completed in 2015 feature redesigned, replanted gardens, a new outdoor kitchen, dining area, and lounge with fireplace, bocce ball court, and fire pit. 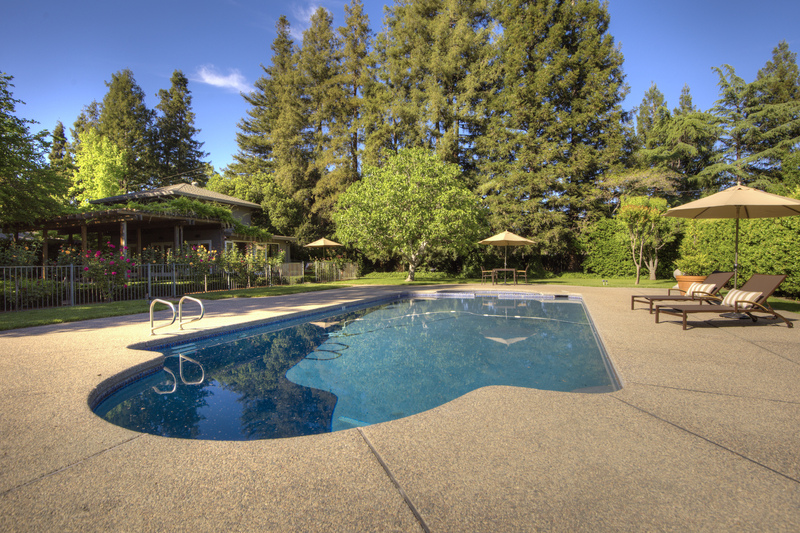 Just minutes from downtown St. Helena and a short walk to Dean & DeLuca. 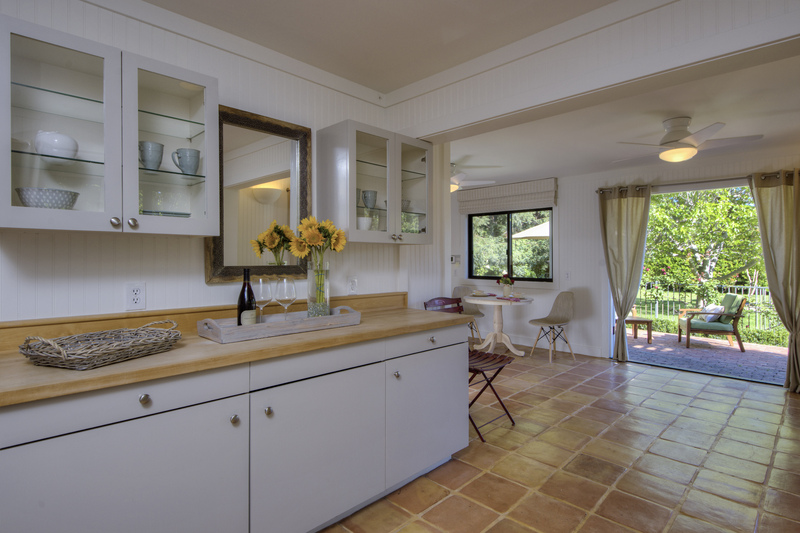 Incredible opportunity to remodel a Sea Cliff gem that is located across from the Katherine Delmar Burke School and half a block to the Lands End trail head on El Camino Del Mar. Upon arrival, one will notice the elegantly manicured and mature garden surrounding the facade. Prior to the fire, the owners upgraded a handful of items such as a new roof, wiring, and two of the bathrooms. 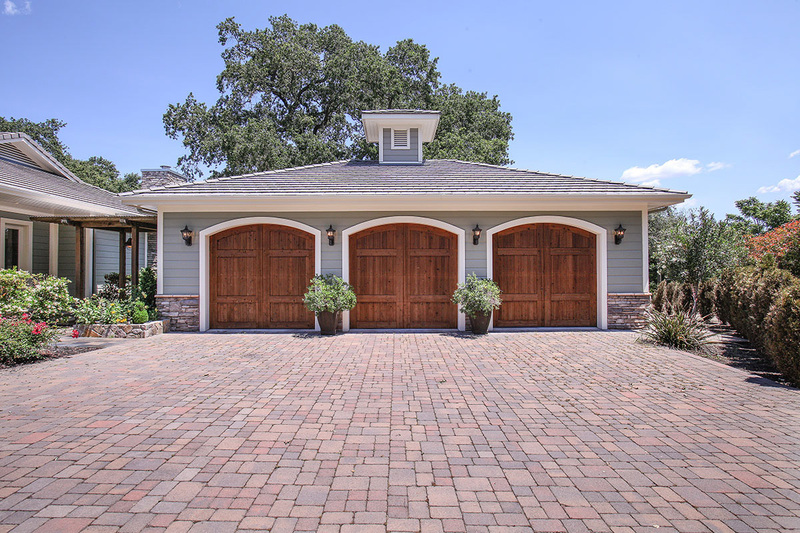 The current floor plan of approximately 4,275 SQFT boasts four levels, five bedrooms and three and half baths, Golden Gate Bridge views from the upper level, various room layout options, and approximately 1,663 SQFT of garage/storage space. The home suffered fire, water, and smoke damage in July of 2016. 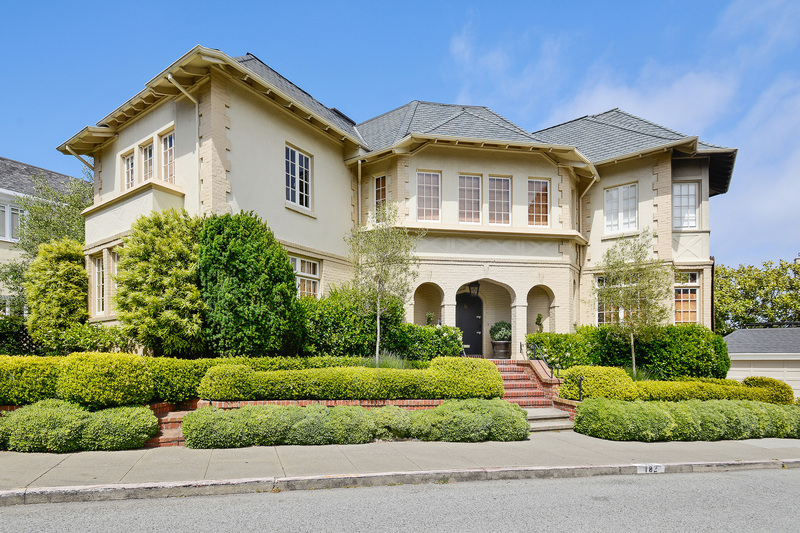 This unique opportunity in the coveted Sea Cliff location provides a buyer or developer to create a new masterpiece. The property is being sold “As-Is” and buyers should conduct their own investigations prior to submitting an offer. The actual square footage of the house listed on the floor plans attached has not been verified. 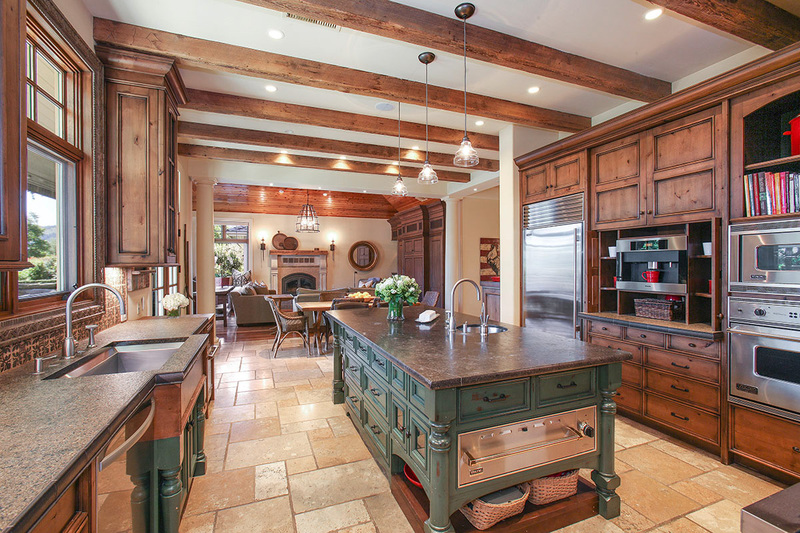 If this information is important to any prospective buyer then buyer should conduct their own measurements. 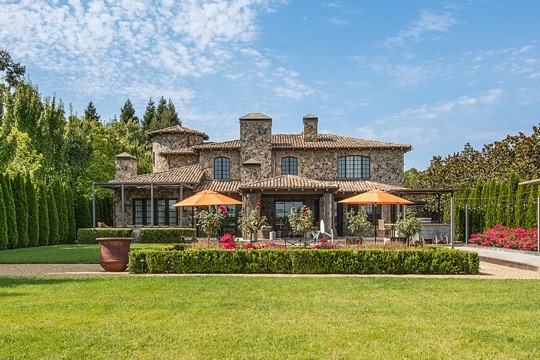 Offering perfect comfort in a tranquil, cherished Napa Valley setting, this estate is a seven-acre property ideally set between St. Helena and Calistoga. 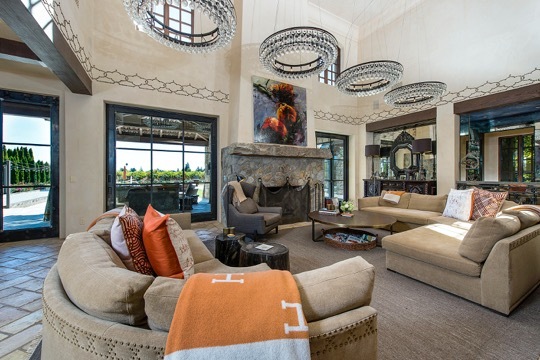 Designed by architect Henry Wix, this inspiring property has been carefully designed to deliver peaceful luxury in an exceptional natural setting and includes a 6,000 square foot main house with four bedroom suites. The impeccably designed home brings in the outdoors at every opportunity with bright windows and terraces in a resort like setting that includes a 1,200 square foot guest house, tennis and bocce ball courts, shuffle board, exquisite pool, formal gardens with mature lush landscaping, state of the art outdoor kitchen, private pond, and two carriage houses with ten auto bays. 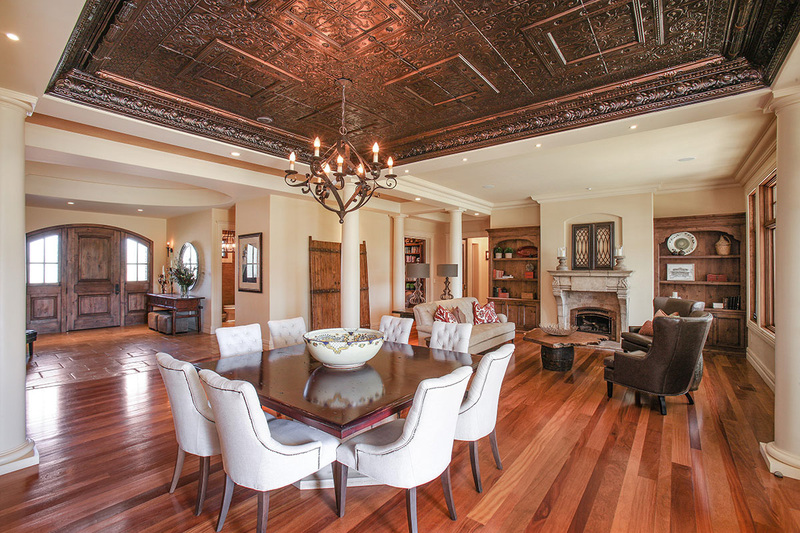 This is the first offering of this incomparable estate. 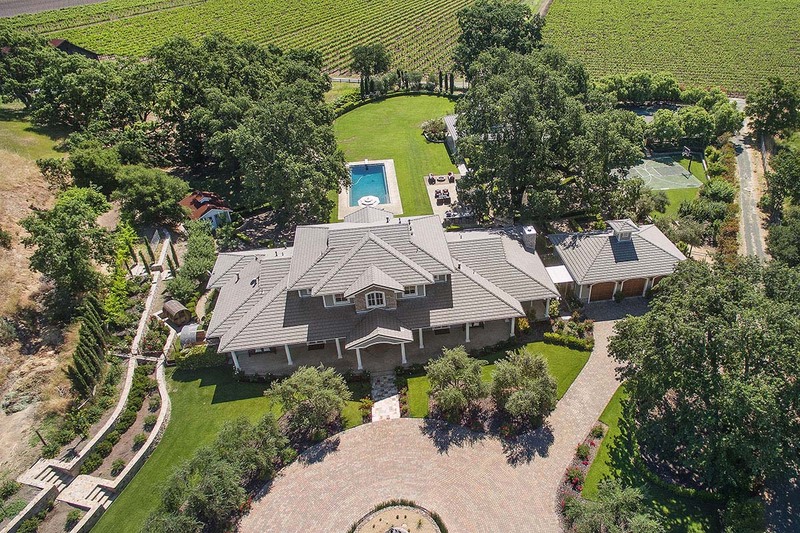 This elegant, gated country home in the heart of Napa Valley is nestled on 1.3 +/- acres on prestigious West Zinfandel Lane, a coveted, sought-after St. Helena location. 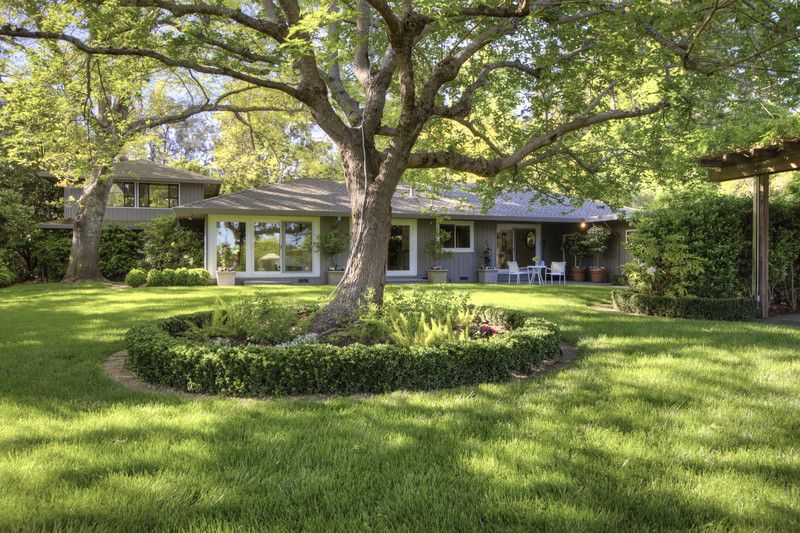 A spacious retreat, this home offers perfect comfort within a private, lushly landscaped setting. 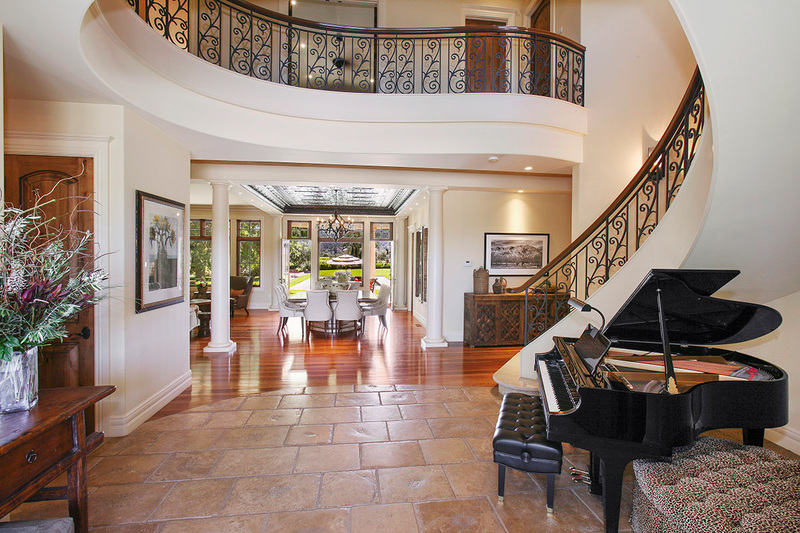 The main residence has three bedrooms and a layout that brings in the outdoors at every opportunity. 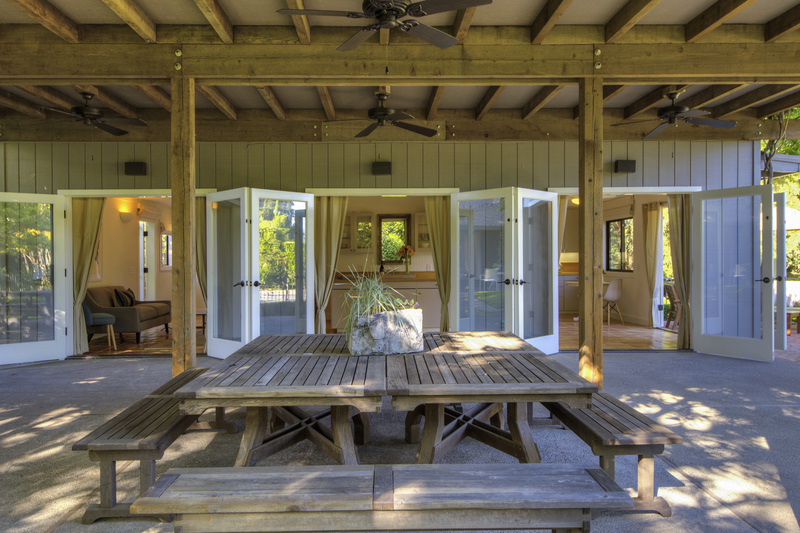 Both the Guest Cottage and the Annex are two storied with flexible floor plans. 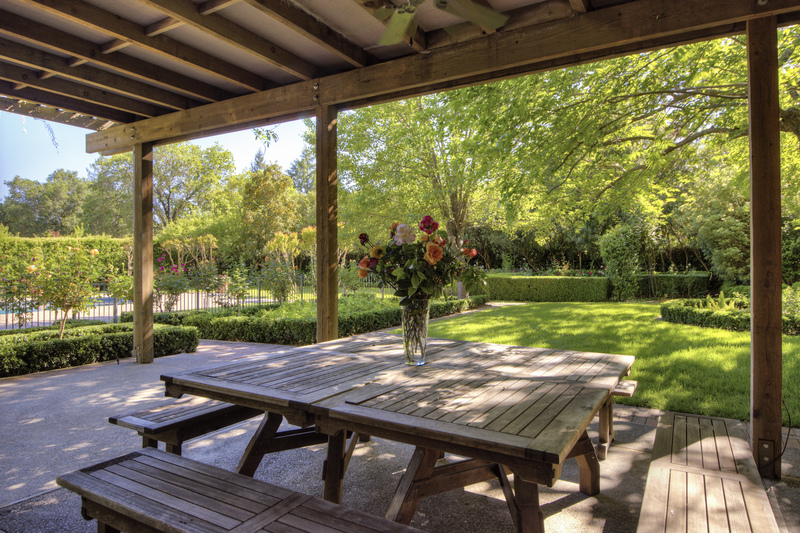 The outdoor space is spectacular with delightful gardens, lush lawn, mature trees, majestic rose gardens, a fantastic pool, and pergola dining area. 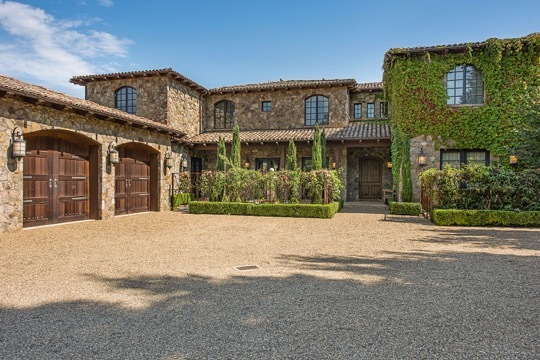 This home has been in the same family for decades and is a rare opportunity for a private haven just moments from the wineries and restaurants of St. Helena and the Napa Valley.